Classic BioWare games owed a lot to the company's RPG roots. Neverwinter Nights and KOTOR were real-time games with turn-based sensibilities. In KOTOR the action played out in real-time, but under the hood you were still queuing up "turns" in the classic tabletop sense. This kind of gameplay is very niche. 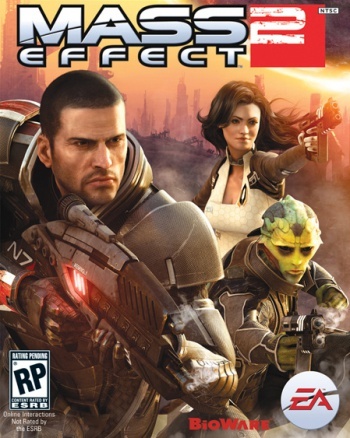 In contrast, Mass Effect 2 is very much a modern shooter with a light glaze of RPG mechanics. This isn't just "more popular", this is the industry standard, and as budgets ballooned games have needed to go for that bigger market just to stay alive. I don't know if turn-based fans are willing to play action shooters, but I think the market shows pretty conclusively that the Gears of War and Uncharted crowd isn't going to put up with stiff, janky shooting mechanics that are dominated by character stats instead of player skill. Mass Effect represents an awkward bridge between the "old BioWare" RPG and "new BioWare" action game. It wasn't number-crunchy enough to feel like an old-school RPG, but it wasn't tightly skill-based enough to feel like a proper shooter. So it was a middling RPG and an atrocious action game. BioWare won a lot of new fans when they revamped Mass Effect 2 to have more mainstream sensibilities. A lot of those new action fans either ignored the first game or, if they did give it a try, they were immediately repulsed by the terrible shooting mechanics. The first Mass Effect was a slow-paced, high-concept sci-fi opera. It was about world building. The game started at a human colony, and then used that as a launching point to bring the player into a strange new universe full of exotic aliens and fantastic technology. The humans seemed kind of small and unimportant in comparison. It has a very episodic structure, where each planet had a mystery for the heroes to unravel. By the third game, all of that had changed. It was no longer a story about a scary new universe. It was now a story of the MOST IMPORTANT [WO]MAN IN THE GALAXY. Shepard wasn't an insect, swept up in a storm of galactic politics. He was at the center of everything and the main villains (the Reapers) were personally interested in him. (Or her.) The secondary villains were entirely human, and they had all the best technology. Earth wasn't a small village, it was the home to the most important person, site of the most important battle, and the linchpin of the entire galaxy. The plans for the Crucible - the most important artifact in the galaxy - were even found on Mars. A human ship led by a human hero fighting human terrorists at the behest of a human-controlled council to save the human home world from space robots that were suddenly obsessed with humans. Talk about anthropocentrism! The game still had an episodic structure, but now the episodes revolve around the main character and their relationships. This is a classic hero's journey story.